You’ll feel like you are in the Keys with just one bite of these! In a small bowl, combine oats, pecans, maple syrup and 1/4 tsp of the lime zest. Spoon into four 6-ounce custard cups. Press down with the back of a spoon. In a medium bowl, beat cream cheese with a mixer on medium to high speed 30 seconds. Add sugar, eff, lime juice, and remaining 1 tsp lime juice. Beat for one minute or until smooth. Pour into custard cups. Cover each cup with foil. Place a trivet in the bottom of a 6-quart electric pressure cooker. Pour in one cup water and add the custard cups. Lock lid in place. Set on high pressure to cook 5 minutes. Quickly release the pressure and open lid carefully. Use tongs and hot pads to remove cups. Cool 15 minutes on a rack then refrigerate at least 2 hours before serving. 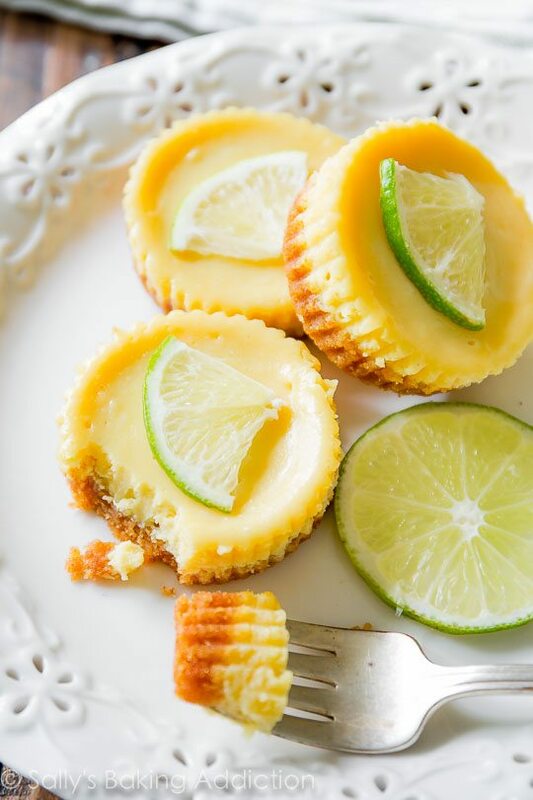 Top with lime wedges if desired.